When you sign up for a credit card or loan, credit providers have a few things they are required to do. They need to prove that you are who you say you are (also known as Know Your Customer or KYC) by verifying your ID and address, and they need to make checks to ensure that you aren’t on any sanctions lists and aren’t a politically exposed person (PEP). Most of the time this is automatic and you won’t even notice they’re doing it. To then assess your creditworthiness, they’ll look at your credit history from one or more credit bureaus (like Experian, Equifax, Call Credit). Having a good credit score with those bureaus will place you in good stead for getting credit and at a good cost. Having a poor score could mean that you either don’t have a credit history (also known as being ‘thin file’) or that you have a history of not paying back credit on time, have taken out too much debt or have taken out too much high-cost credit (like payday loans). It sounds almost too easy, but lenders like stability and showing your interest in your community by voting helps to show that. It can make a big difference to your credit score, it only takes a few minutes and it’s free. So if you haven’t already, register to vote at www.gov.uk/register-to-vote. Credit score repair begins with your credit report. Just about everyone will have a credit report and you should be aware of what yours is reporting about you. Checking your credit report can cost money, but there are a few services who can provide you with a free copy of your report (like Noddle and ClearScore). What are you looking for? Your credit report contains the data used to calculate your credit score and it may contain errors. If there are any fraud warnings or late payments incorrectly listed let the service providing the report know immediately so that they can investigate. They can flag your notice of correction on your report. If you’re known by lots of different names or nicknames lenders may think you have something to hide. Try to be consistent with your personal details and avoid using lots of different names. Maxing out your cards and having high outstanding debt doesn’t look good to lenders and can impact your credit score. Keeping balances low on credit cards and other ‘revolving credit’ show that you are responsible with your debt. And whether it’s a credit card, phone contract or car loan repayment, making regular payments helps show lenders you can manage your credit. The flip side is that missing or late payments will really count against you. Making your credit payments on time is one of the biggest contributing factors to your credit score. Consider paying a regular set amount by direct debit, as it pays automatically and some lenders provide a discount because they have the assurance that you’ll pay automatically. If you prefer to make payments yourself, some banks offer payment reminders through their online banking portals that can send you an email or text message reminding you when a payment is due. This is much easier said than done, but reducing the amount of debt that you owe is a top way to increase your credit score. One way to do this is to stop using your credit cards. Use your credit report to make a list of all of your accounts and then go online or check recent statements to determine how much you owe on each account and what interest rate they are charging you. If you can, come up with a payment plan that puts most of your available budget for debt payments towards the highest interest cards first, while maintaining minimum payments on your other accounts. Again, easier said than done. If you are having trouble making ends meet, contact your creditors or meet a certified credit counsellor to discuss your options. 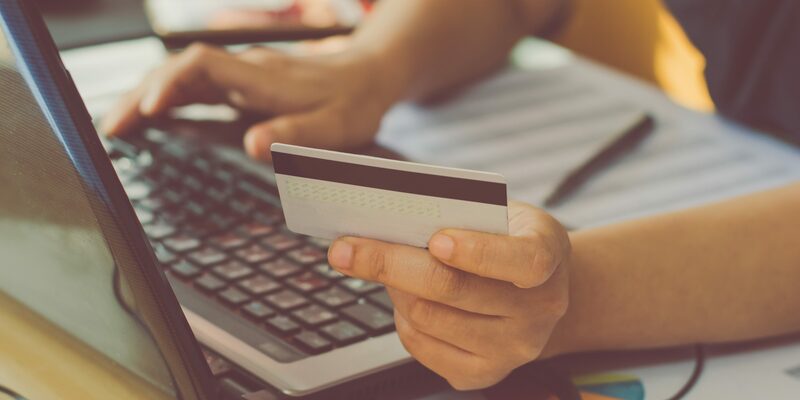 This won’t rebuild your credit score immediately, but if you can begin to manage your credit and pay on time, your score should increase over time. Don’t open accounts just to have a better credit mix as it’s unlikely to raise your credit score. New accounts lower your average account age, which will have a larger impact on your scores if you don’t have a lot of other credit information. Also, rapid account buildup can look risky to lenders. When obtaining credit, think about your long-term financial well-being and not just quick fixes. There are probably a lot more tips and tricks for improving your credit health, but these should be a pretty good place to start. If you have any others – shoot them our way and we can follow up with another post! Particularly for the self-employed, it can be hard to maintain a healthy credit history because of income volatility. Some weeks you earn more, some weeks less, so it can be difficult to manage expenses and debts on time. A Trezeo business account can help smooth out incomes across these busy and slow periods, providing a regular, steady paycheque. This helps customers plan their finances and can demonstrate a stable income when applying for larger debt like a mortgage. Learn more about a Trezeo income smoothing business account here. Please note that nothing in this post is meant to convey financial advice. If you are struggling with debt, or want professional advice as to improving your credit score, please speak to a professional credit counsellor (like Citizens Advice or National Debt Line) or a financial advisor who can tailor their insights based on your personal circumstances.